Fill out our "15 second"
Lawyer Chris R. Brasure has been practicing personal injury for over 10 years. One of the top reviewed law firms in and around the Edinburg area. Award-winning attorneys who provide honest and aggressive representation. 10/10, our law firm is one of the best in the state of Texas. Nearly a decade ago, Texas attorney Chris R. Brasure founded Brasure Law Firm, PLLC. The firm was founded on one very simple idea: “Less clients, more attention, better results.” Because of Mr. Brasure’s contributions and commitment to the legal community, he was elected as a fellow for the Texas Bar Foundation. An honor that is only extended to 1/3 of 1% of Texas attorneys. Election to the Fellows is one of the highest honors that can be bestowed upon a member of the State Bar of Texas. Whether the legal issue is premises liability, a traffic injury, or a wrongful death, Brasure Law Firm has considerable experience advocating on behalf of personal injury clients in out-of-court negotiations as well as inside Texas courtrooms. When you work with Hidalgo County attorney Chris R. Brasure, you’ll be working with an experienced Texas personal injury lawyer who will fight aggressively and diligently for the legal solution that a personal injury victim needs. Chris R. Brasure places a high value on the attorney-client relationship, so each client is treated with the respect they deserve, and details of their cases are kept confidential. See what some of our former clients have had to say about working with us by reading the Google Plus Reviews for Brasure Law Firm, PLLC. For almost ten years, Brasure Law Firm has established a track record of success and a reputation for tenacity that is widely-respected throughout the Texas legal community. Some of the Brasure Law Firm practice areas include auto accidents, slip and falls, work-related injuries, and other personal injuries. Please call Brasure Law Firm now at (956) 686-3555 to speak with a member of our team of personal injury lawyers. Our law firm is conveniently located off of the intersection of W Alberta Rd. and S. McColl Rd. in Edinburg near Doctors Hospital at Renaissance Health System and Cornerstone Regional Hospital, approximately 7 miles from McAllen International Airport (MFE). Take Bicentennial Blvd to exit the McAllen International Airport and turn right onto Wichita Avenue. Turn left onto S 2nd Street/S Col Rowe Blvd and remain on this road for 5 miles. Turn right onto E Dove Avenue, and make a left turn onto S McColl Road. In about 0.5 miles, turn right onto Paseo Del Prado and our law firm will be on the left. Head east on US-83 BUS E from McAllen, Texas and stay on this road for approximately 1 mile. Turn left onto N McColl Road, and remain on this road for 4 miles. Turn right onto Paseo Del Prado, and our law firm will be on the left. We’ll arrange to meet and find the best available solutions to your unique legal situation. Traffic accidents are the leading cause of personal injuries. While some traffic injuries might initially appear to be minor, those injuries may later develop into serious medical situations. Insurance companies frequently try to pay accident victims as little as possible and sometimes nothing at all. We make insurance companies abide by the rules and pay you the full compensation amount that you deserve. If you become a traffic accident victim, seek medical treatment at once, and then speak promptly with an experienced Texas personal injury lawyer at Brasure Law Firm. Brasure Law Firm will investigate the accident, secure the physical evidence, line up witnesses, and work with investigators if necessary to prove who was responsible and how your injury or injuries actually happened. We aggressively negotiate for the maximum available award for your medical treatment and related expenses. If out-of-court negotiation does not obtain the best result, we will take your claim to court and explain the facts on your behalf. While traffic crashes are the leading cause of personal injuries in Texas, any kind of accident may lead to a severe injury. Property owners, for example, are legally obligated to keep properties safe for passersby, visitors, tenants, and customers. When a slip-and-fall accident results in a personal injury, that injury can generate a premises liability claim against the property owner. Slip-and-fall injury victims may receive full reimbursement for medical bills, lost wages, and related expenses, but to prove that the owner of the property was negligent, victims will need the counsel of an experienced Texas premises liability attorney. If you are injured and you believe that you have a legitimate personal injury claim, contact Brasure Law Firm at once. 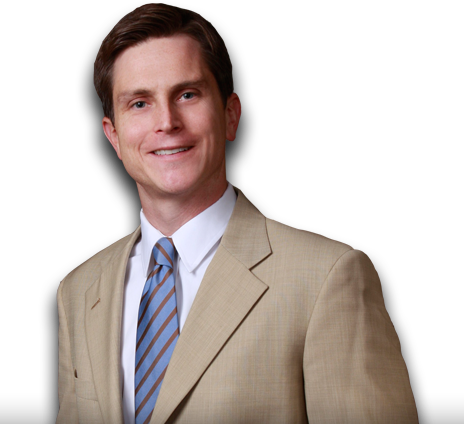 Attorney Chris R. Brasure will sort out the facts and explain your options under Texas law. If you file a claim, Brasure Law Firm can help you line up the witnesses and gather the evidence you’ll need to prevail in a trial. Were You Injured From Negligence? When you become a client of the Brasure Law Firm, you are treated with absolute respect, and you’re offered every professional consideration and courtesy. We will explain in detail exactly how Texas personal injury law applies to your situation, and we keep you fully up-to-date as your personal injury claim advances through the legal process. Chris R. Brasure will manage all of the negotiations and discussions with whomever you name as a defendant, with that party’s attorney or attorneys, and with his or her insurance company. Your personal injury claim is about much more than money; so is our work at Brasure Law Firm. It’s about winning justice and holding negligent parties accountable for the injuries they cause. If you or someone you love has been injured by the carelessness or negligence of another person or persons in the state of Texas, or if you are injured in that way in the future, let an experienced Edinburg personal injury attorney – Chris R. Brasure – fight for the compensation and justice you genuinely deserve. If you’ve sustained a catastrophic or disabling injury because of negligence, you may not be able to work – temporarily or permanently – and you may be forced to spend days or sometimes months recovering. However, even just a few days lost from the job is more than many working people can afford – especially when the medical bills roll in. Brasure Law Firm offers real hope for the victims of personal injury. If you’ve genuinely been injured by negligence, and you can prove it, your lawsuit will probably prevail, but there are no guarantees; the attorney you choose really can make all the difference. You need an experienced Texas personal injury attorney who is committed to safeguarding your rights and dedicated to seeking justice for you and your family. You need an advocate who wants to make a positive difference on your behalf. You need Chris R. Brasure. If you’ve been injured, contact Brasure Law Firm immediately. When you are injured because another person was negligent, you can be confident that Brasure Law Firm will handle your case with competence and care. Chris R. Brasure’s experience and credentials are your assurance of quality legal representation. From the offices of Brasure Law Firm in Edinburg, we represent clients throughout the state of Texas. After a serious injury, we work hard to help the victims of negligence transition positively and constructively into the future. All personal injury claims are handled on a contingency fee basis, so you pay no attorneys’ fees unless and until Brasure Law Firm recovers compensation for you. To schedule a free consultation with an experienced Texas personal injury lawyer, call (956) 686-3555 or complete the contact form on this page, and Brasure Law Firm will contact you promptly. The legal help injury victims need is here, but you must take the first step and make the call. Mr. Chris Brasure has been so helpful with my case and has made my legal experience seem very effortless. He is always there when I need advisement or help on anything regarding my case. I would recommend Mr. Brasure to anyone who needs help. Brasure Law Firm, PLLC takes pride in helping college students achieve their goals of pursuing a higher education. Many college students across the nation cannot afford the price of everyday living expenses and tuition without the assistance of additional financial support. A student who is not eligible for federal financial aid must apply for private loans that can have high interest rates and lead to expensive payments after graduation. Our small contribution ensures that the youth in the community can pay for college without the risk of debt. Brasure Law Firm, PLLC wants to help college students avoid student loan debt and focus on their education by offering this scholarship. If you are suffering from financial hardship and need assistance paying for college, apply for 2017 Brasure Law Firm Scholarship. We will provide a $250 scholarship to any student without the obligation to pay the money back. The student can use the scholarship for any cost related to their education. Students from all areas of study can apply for free. Applicants must be a United States citizen OR maintain a lawful and permanent residency in the United States. Applicants must have earned less than $35,000 in 2016. Applicants must provide their email address and Facebook profile URL. Applicants must be enrolled in the current semester (part-time or full-time) and seeking an undergraduate or graduate degree. All applicants are required to submit a clear and concise essay. The applicant’s essay must be original and contain no evidence of plagiarism. How have you overcome challenges while pursuing your college degree and what was the hardest one? Who inspired you to receive a college degree and why? What is the most important aspect of a higher education? Why did you decide to attend college and how has it changed your life? What kinds of sacrifices have you made since starting college? A video submission can be completed rather than a written essay. The recording should be between 3-10 minutes in length and include a link to the original website hosting the video. This video submission is optional and not considered a requirement for the scholarship. All essays must be typed using a 12-point font and single-spacing. Essays must be formatted as a Microsoft Word Document or PDF (.DOC, .DOCX, .PDF). The winner of the scholarship will be selected one week after the submission deadline by email. Brasure Law Firm, PLLC will send the winner a check for the scholarship award through the United States Postal Service (USPS). Deadline to enter is September 1, 2017. Please follow these application guidelines and review your submission before sending it to our law firm. You must either submit an essay (required) or video (optional). All applications must be sent by email to brasurelawscholarship@yahoo.com. Emails must have the subject line “Scholarship submission” and include your name, age, address, GPA (high school or college), the URL for your Facebook profile, and the URL for your video’s host site. Applicants can submit an essay or video only once. The scholarship does not have a GPA requirement. However, students with a GPA of 3.0 or higher have a better chance of being selected. All application inquiries should be made via email. Once your application is received, the winner will be notified approximately one week after the deadline. Please, no phone calls or letters. Do I have to provide my Facebook profile? Yes, this is a requirement. All submissions must include the URL for the applicant’s Facebook account. If you do not have one, you will need to create one. Is financial hardship a requirement? Although we understand every college student may need assistance with their education, our scholarship aims to help individuals who are unable to pay for tuition or supplies on their own. If I made a mistake, can I re-submit my application? A revised version of your essay will be accepted if the submission is received before the deadline. Follow the same submission guidelines, but also add the word “Edited” to the new email’s subject line when re-submitting your essay.